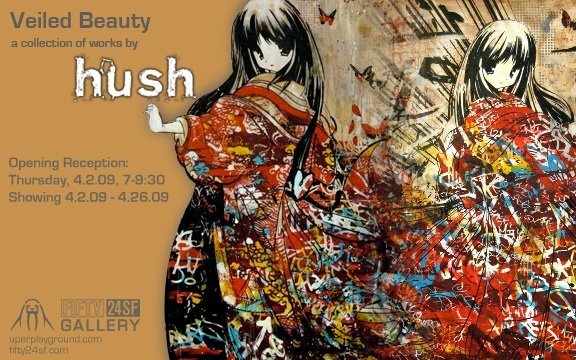 Veiled Beauty is a solo exhibition by Hush, a graphic designer and illustrator from the U.K. Hush is an urban artist who worked in Hong Kong for a number of years as a graphic designer/illustrator before returning to the UK. 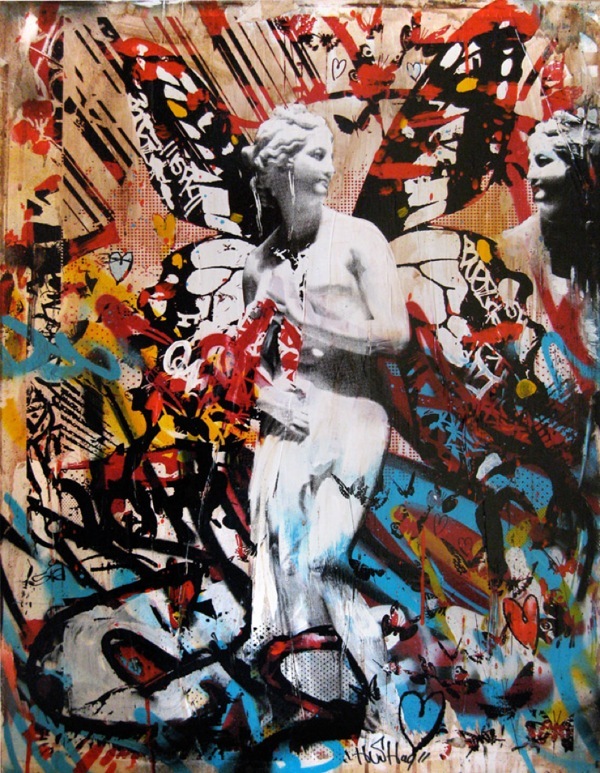 His popularity is soaring, with sell out shows in London and Los Angeles, along with high profile street pieces, sold out print runs and collaborations. 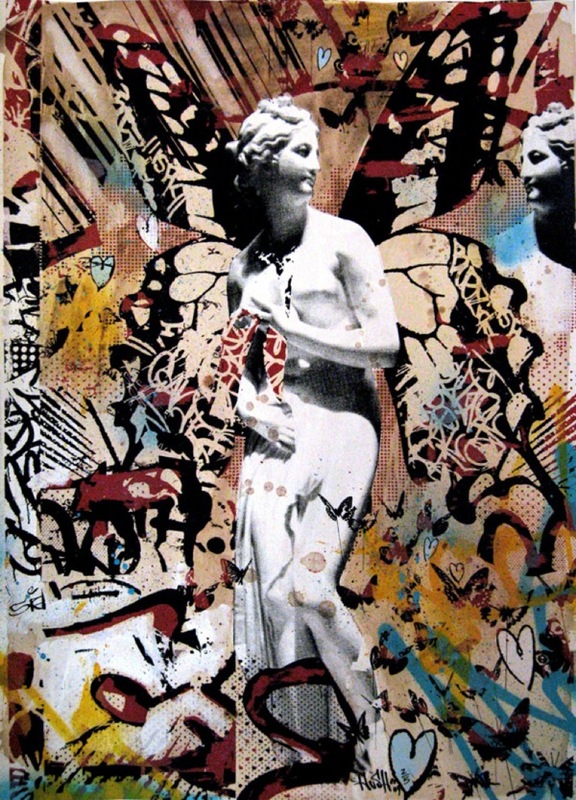 Influenced by various facets of modern culture, he is inspired by graphic-novels, animation, graphic-design, graffiti art, urban art and contemporary painting. 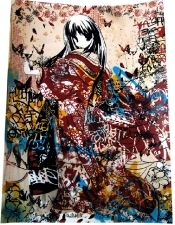 He’s known for his portrayal of female Manga characters juxtaposed with his mixed media layering techniques utilizing screen print, spray paint and multi-levels of paper. 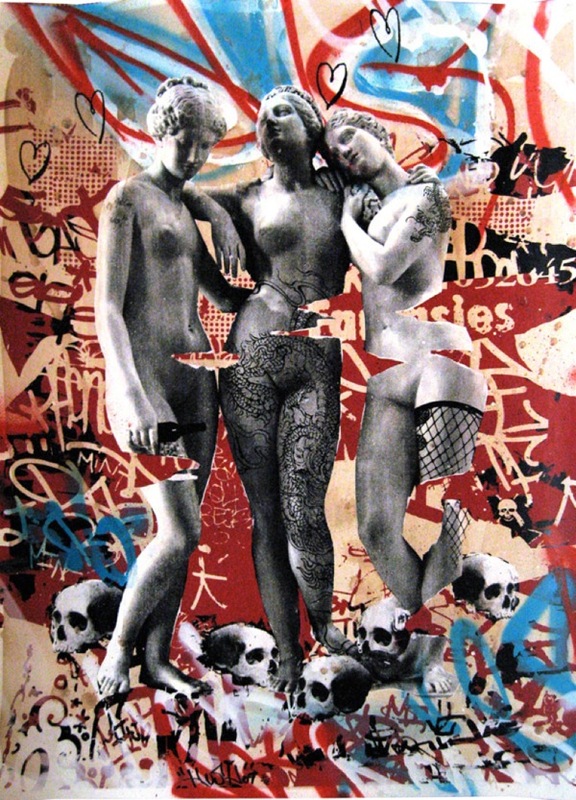 The confluence of East meets West, destruction meets construction, and classic versus contemporary style, all leave the viewer feeling the same conflicts and energy that his work embodies.Hush has worked as a graphic designer, illustrator and art director in London, Edinburgh, Newcastle and Hong Kong where he worked for a few of the largest toy companies in the world. 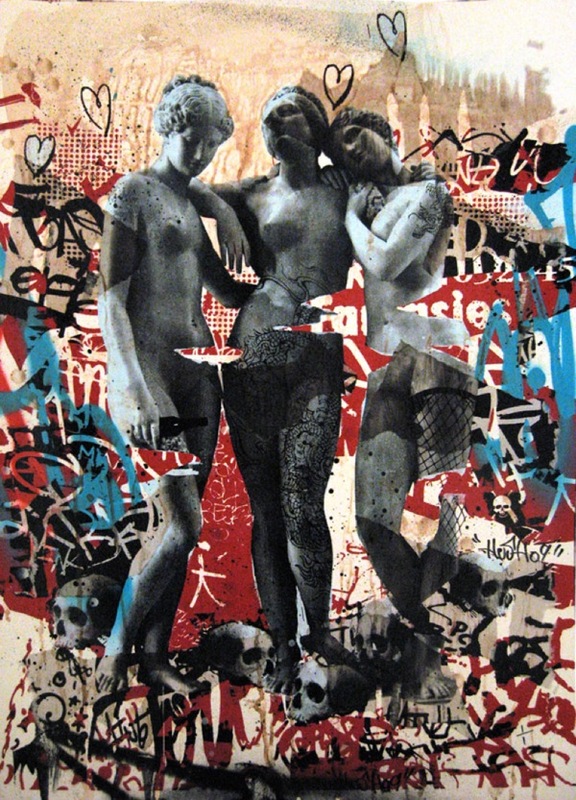 His work has been featured in numerous selected exhibitions in London, Los Angeles, Hong Kong, Edinburgh and Newcastle.